RetailMan combines a Point of Sale, Accounting, Invoicing/Quotations, Stock Control, Purchasing, Barcode Labels Printing, a Loyalty Reward Program, and many more in one easy to setup and use package. 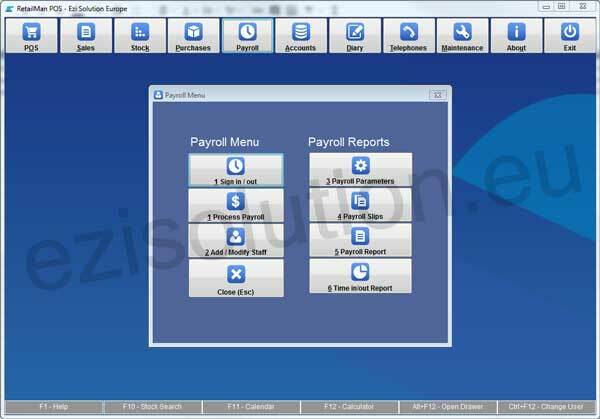 Our software will help you to run your business more efficiently, be in control of your business and maximise profits. You can use RetailMan POS in one or multi location businesses. 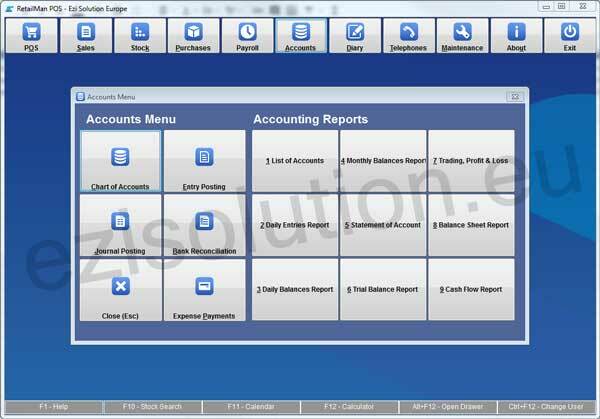 You will be able to maintain and use all parts of the system from one location and easily expand your system as your business grows. 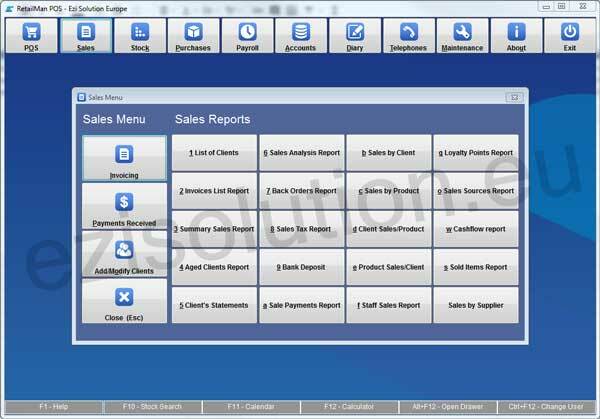 RetailMan Point of Sale software will help you to effectively and easily manage all day to day business tasks, manage and identify dead stock, manage suppliers and purchases, manage customers and lightning fast customer checkout and much more. In a few words you will spend less hours running your business and focus your attention on growing it. Awesome, easy to use POS Software and the support is super nice and answers questions quickly! Multiple License purchase options available. Click the button below, add your license type to the cart and use our secure one page checkout to purchase it. Not Sure? Try, its free. 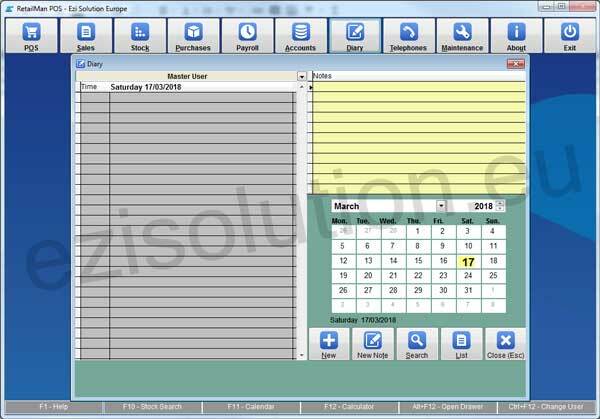 Download the full version of RetailMan POS and use for 90 days absolutely FREE! 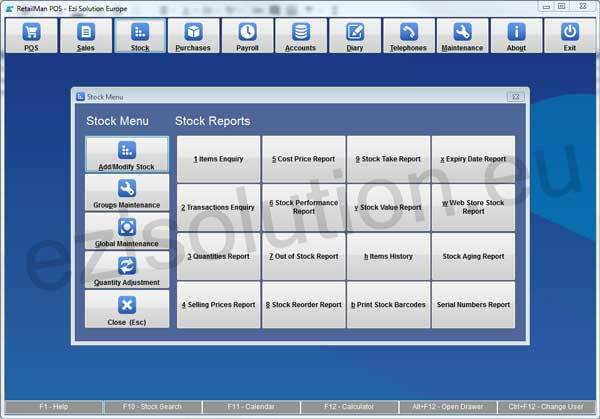 No need to reinstall after trial period, just purchase a license and continue to benefit from our amazing software. What makes RetailMan POS software a better choice among others? 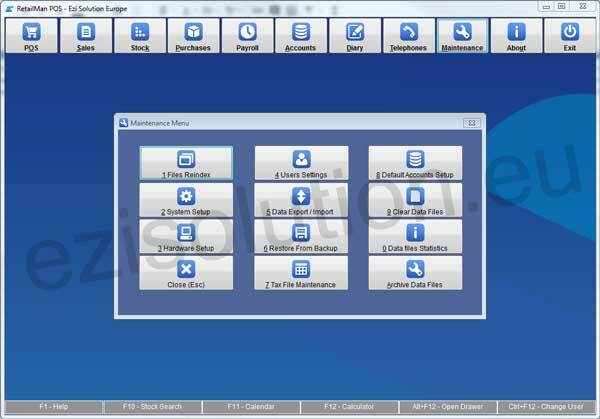 After you buy a license for RetailMan POS software, you will receive a license key, free standard support (one year for a lifetime license) and free similar releases upgrades (e.g. 2.5.1 to 2.5.90). 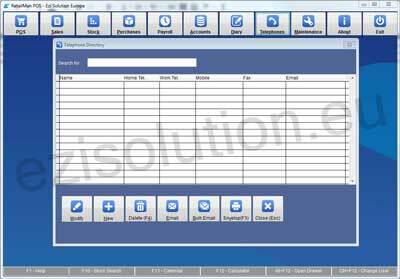 A lifetime license key will never expire and you will be able to reinstall RetailMan POS software as many times as you want. 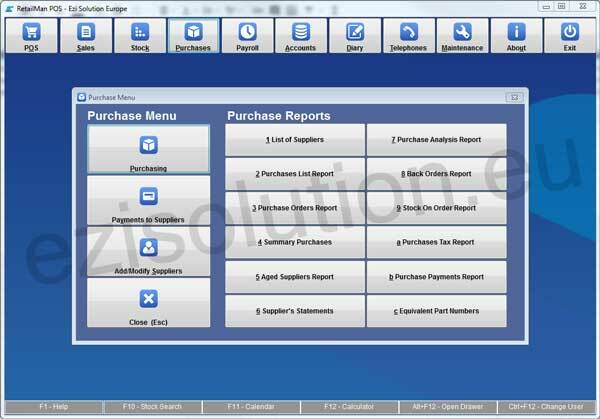 RetailMan POS – complete business solution that combines a Point of Sale, Accounting, Invoicing, Stock Control, Purchasing, a Reward Program, Barcode printing and many more in a single easy to use package. As your business grows, you may need to add additional POS stations or open a new branch in another location. All you need is to buy an extra license for the new location or an extra user for a new Point of Sale station. Follow a simple guide and you will be ready to work in no time. 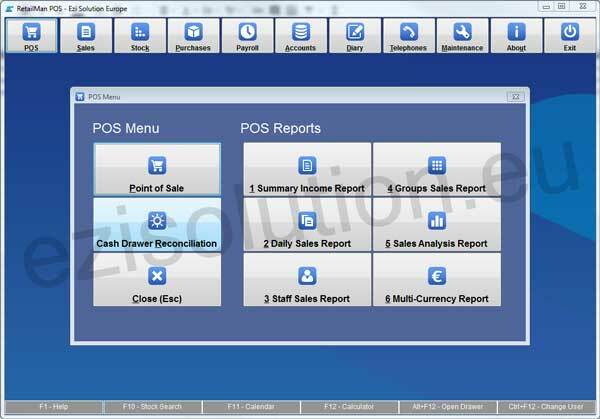 RetailMan POS is not just a Point of Sale software, it is a complete business management package at an unbeatable price. Please look below what modules make RetailMan POS software stand out from other Point of Sale systems, which in fact are much more expensive.